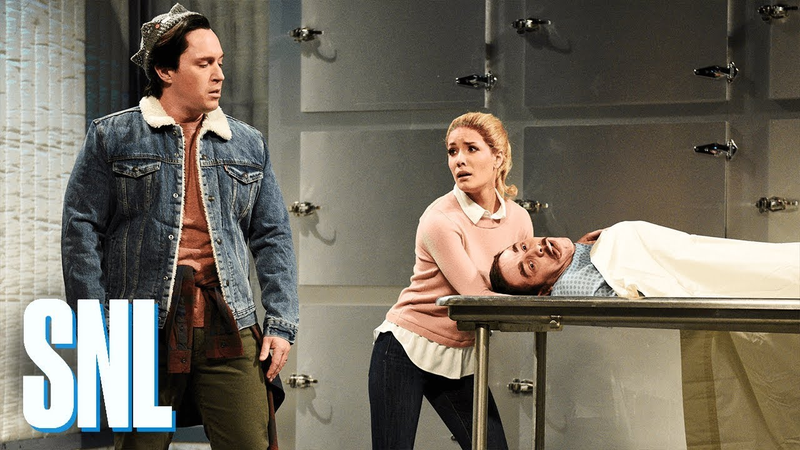 Beck Bennet and Halsey as Betty and Jughead, with Pete Davidson as a corpse actor. 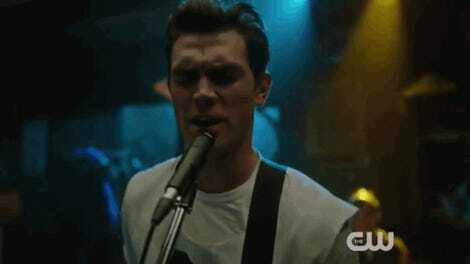 Saturday Night Live, as it is wont to do, set its parodic sights on the CW’s Riverdale. And while it didn’t hit the mark I was expecting, it certainly hit… uh, something. With pop artist Halsey as Lili Reinhart as Betty and cast member Beck Bennet as Cole Sprouse as Jughead, the skit focuses on fictional behind-the-scenes drama, as a very talkative corpse actor (model? Corpse model?) played by Pete Davidson keeps interrupting the shoot. Come for the Lili Reinhart impression and the, uh, corpse humor, and stay for the myriad of questions I have about this skit. What boggles my mind is that this Riverdale, in its soapy strangeness, is an immensely parody-able show. The weirdest thing about this skit is that it’s so restrained. With inspiration taken from a TV show that, as of this season, literally features a baby-murdering death cult, it really feels like this parody could have gone in a more ambitious direction. Still, though, Beck Bennet does look pretty hilarious as Jughead. You’ve got that going for you, SNL.